We are thrilled to announce that Joshua Brown is now the recipient of a magnificent violin by Pietro Guarneri, Cremona, 1679, with thanks to his generous patron. Joshua is a student of Almita and Roland Vamos at the Academy of the Music Institute of Chicago where he has been awarded the Alexandra C. and John D. Nichols Fellowship for the past two years. The North Shore Chamber Music Festival recently named Joshua the 2017 Haag/Galvin Young Artist and the Arkady Fomin Scholarship Recipient. He will be performing twice during the Festival this June. Joshua already has several prestigious competition wins under his belt, including Grand Prize for Violin in the 2016 ENKOR International Music Competition, receiving the highest score in the history of the competition across all ages and all divisions, First Prize winner in the 2016-2017 American Music Institute’s Violin Competition, and National YoungArts winner in 2016 and 2017. 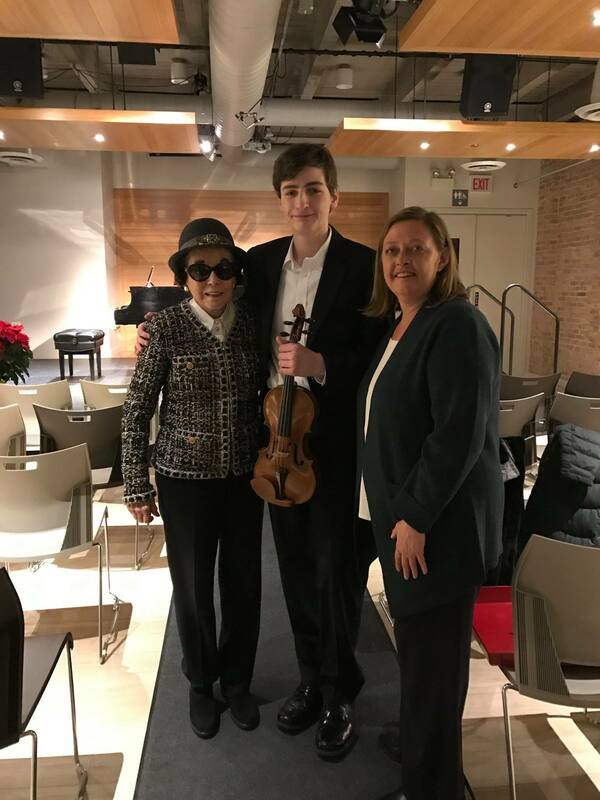 Joshua won the 2015 Music Institute of Chicago Concerto Competition and as part of the prize, performed Waxman’s fiercely difficult Carmen Fantasie with Ars Viva, conducted by Alan Heatherington.